Steven (Chicagoland, United States) on 27 October 2008 in Architecture and Portfolio. You know the joke about the tallest building in town being the library because it has the most stories? Well, this one isn't the tallest, but it is one of the largest in the world. 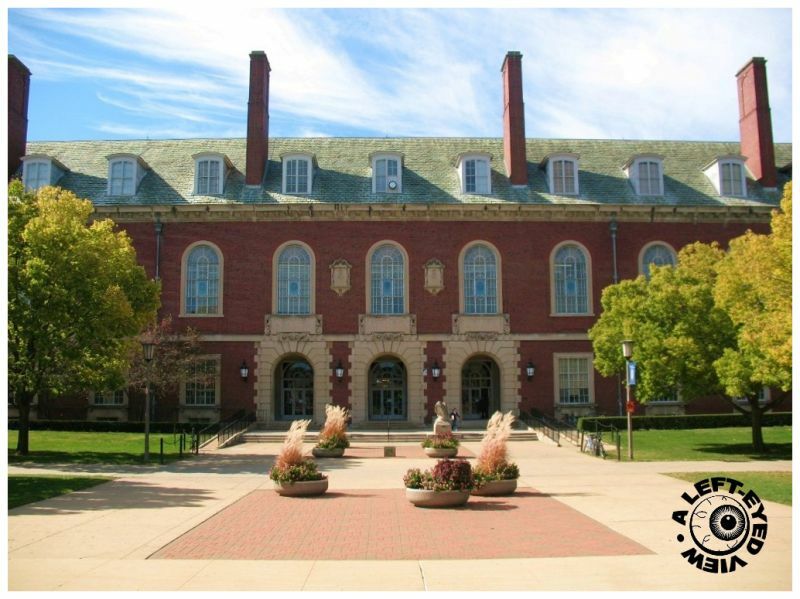 It is the University of Illinois LIbrary in Urbana-Champaign. In North America, only the private university collections of Harvard and Yale are larger. Currently, the UIUC libraries hold more than 10 million in volumes, which help comprise 22 million items in the main library and the 40 other departmental libraries and divisions. As of 2006, it has also the largest "browsable" university library in the United States, with 7.5 million volumes directly accessible in stacks in a single location. Photo was taken the day I arrived for Homecoming festivities at my alma mater on October 10, 2008. What was interesting to note was how much the landscape had changed around the Library. I remember taking panoramic shots of the Library in 1990 about 100 feet to the right from where this was taken and it wasn't obstructed by all the trees you see now. WOW! what an incredible amount of books, it would take an age to look at all of them, does it have that wonderful smell of old books that some libraries have? Fine shot of a great building, must be awesome to wander around there, inmidst these millions of books! hey! welcome back! :) i've been spotty lately too -- work is getting crazy again. ;) a beautiful shot here -- handsome architecture, very nicely cared for grounds -- and the light is beautiful!